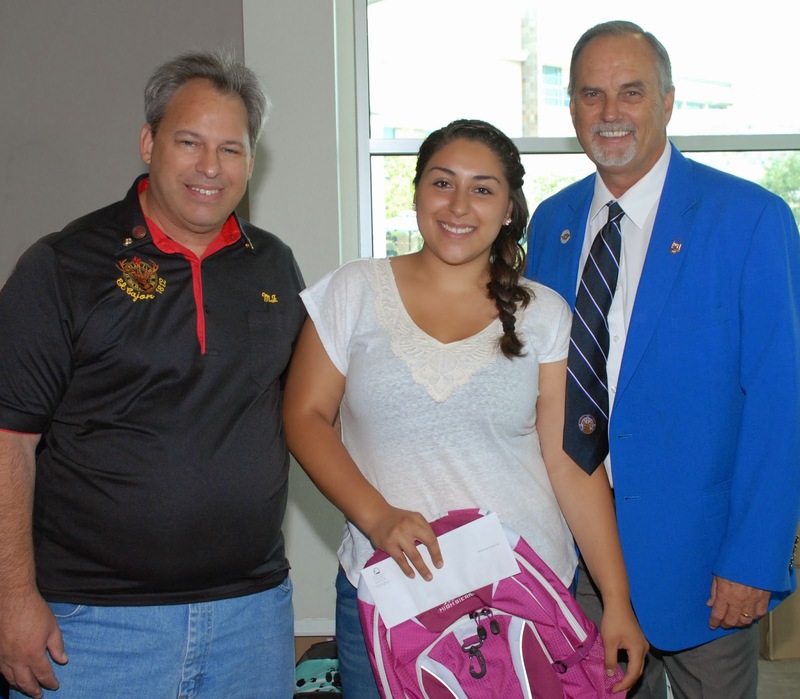 Thirty students in a Cuyamaca College program that provides a measure of support often missing in their lives as former foster youth received school supplies and vouchers for books and transportation from the El Cajon Elks Lodge Thursday. Cuyamaca College Professor Emeritus Anthony Zambelli, who continues to work on campus, said the event was the result of his attending a forum where he heard the plight of foster youth as they age out of the county system. “All the financial and other support they receive ends and they are basically put out on the street and that’s so wrong,” Zambelli said. He decided to put his longtime membership with the El Cajon Elks Lodge to use to support former foster youth through Cuyamaca’s Unlimited Potential, or Up!, program. A $2,000 grant from the Elks National Foundation paid for the backpacks, school supplies and vouchers, along with a lunch of pizza to the Up! students who benefitted from the Elks’ largesse. 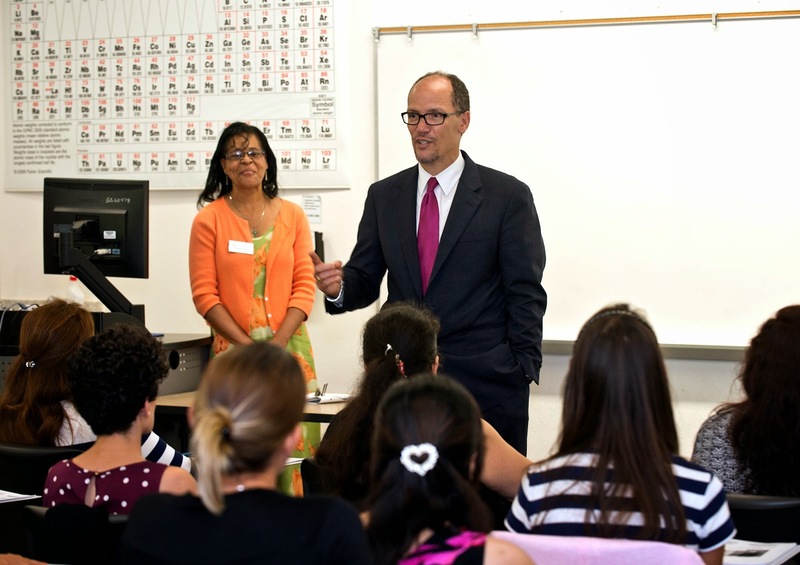 U.S. Secretary of Labor Thomas E. Perez - the son of immigrants - offered encouragement to recent immigrants seeking jobs in the health care field during a visit Thursday to the San Diego Welcome Back Center at Grossmont College. "What you're doing is important, not just for yourself, but for the community," Perez told a class of English learners. "We welcome you. We are a land of opportunity." The San Diego Welcome Back Center assists recent immigrants who have international training in health care fields, such as nurses, pharmacists and doctors, in obtaining California licensure. During his afternoon visit, Perez also participated in a roundtable that included students and graduates of the Welcome Back Center program, and officials from Grossmont College, Grossmont-Cuyamaca Community College District, the California Community Colleges Chancellor’s Office and regional organizations allied with the center. Perez shared his family’s story and their work in the health care field with the students. Perez’s father was a doctor and his four brothers and sisters are also physicians. From student body president at Grossmont College during the 1960s to his fundraising efforts on behalf of students over the past 10 years, Ernest Ewin is the gift to East County’s community colleges that keeps on giving. 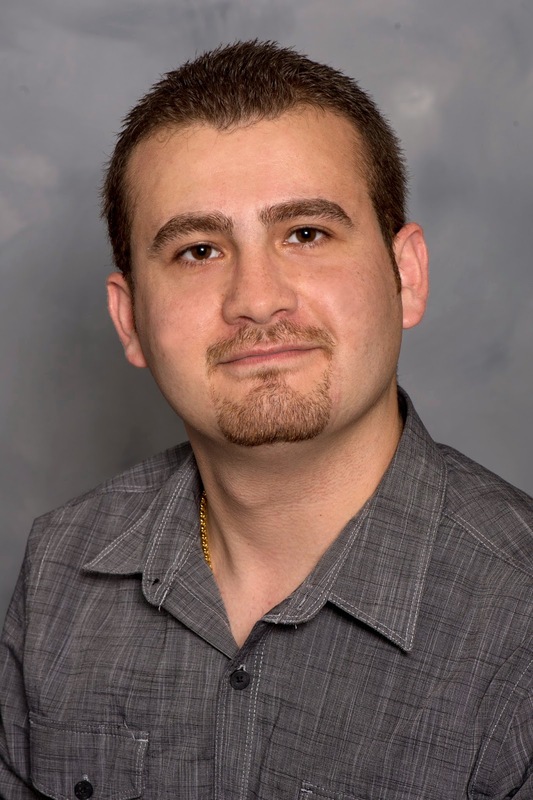 Now, Ewin has a new title and role with the Foundation for Grossmont & Cuyamaca Colleges that allows him to do what he does best: making personal connections. As the foundation’s donor relations specialist, the well-known La Mesa councilman and Grossmont College alum will be cultivating major donors for the colleges and letting the business community know that by helping the colleges, they are potentially helping their bottom line. He relishes the idea of sharing the personal success stories of students and graduates of East County’s only publicly supported colleges. “I love the people of East County and I have a deep appreciation for the education provided at the community colleges – I see miracles performed on the campuses every day,” he said. The largest commencement in Cuyamaca College’s 36-year history had barely concluded and already Dr. Lauren Vaknin, associate dean of student affairs, was setting in motion plans for the 2015 graduation ceremony. “It’s a year-long process,” said Vaknin, noting the logistics involved in ensuring a celebration with approximately 1,900 guests, nearly 250 participating graduates, dozens of volunteers and several VIPs, including keynote speaker Mae Brown, Assistant Vice Chancellor for Admissions and Enrollment at UC San Diego. It is because of her dedication to detail – and her commitment to a job that includes oversight of student organizations, student government, student events and student discipline – that Vaknin has been named the latest recipient of the “Cuyamaca Way Award.” Vaknin is the 22nd recipient of the award, which honors staff, faculty members or students who best exemplify the values of Cuyamaca College. For parents looking for a way their kids could burn off energy in a fun, safe way, coaches at Cuyamaca and Grossmont colleges are putting on coed basketball camps in July and August. Rob Wojtkowski, head basketball coach at Cuyamaca College, is putting on summer basketball camps for youngsters to receive expert instruction in basketball, as well as individual character development. The camps are sponsored by the men’s basketball office at Cuyamaca College and are designed to instill self-confidence through achievement. The young athletes will be able to improve their talent and abilities in the areas of ball handling, dribbling, passing and receiving, rebounding and shooting through drills, three-on-three competition and team games. “I enjoy working with kids, having my players teach kids, and bringing in the outside community to our campus,” said Wojtkowski, who has been directing summer camps for 24 years, the past 15 at Cuyamaca College. This article was written by Melinda Nish, president of the San Diego and Imperial Counties Community Colleges Association, in honor of the 70th anniversary of the G.I. Bill. Nish is superintendent/president of Southwestern College. It is a promise that never will be broken. Seventy years ago on June 22, 1944, our nation made a commitment to the 16 million veterans returning from World War II by enacting the Servicemen’s Readjustment Act – more commonly known as the G.I. Bill. 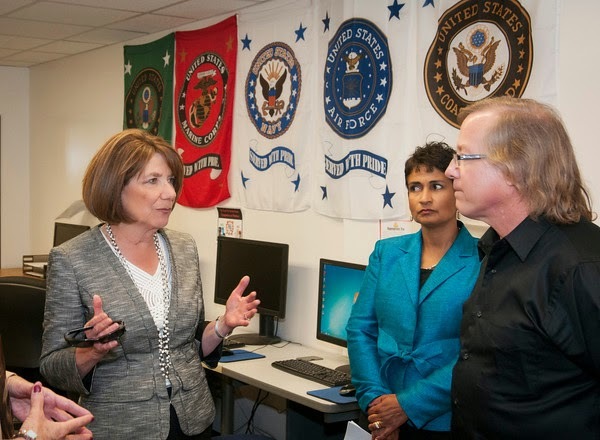 Today, community colleges nationwide are steadfast in their commitment to serving the needs of our current and former military families. This is especially true in San Diego and Imperial counties, where more than 20,000 veterans, active military and their family members are attending campuses at six community college districts thanks to the G.I. Bill and an array of veterans’ benefits. The G.I. Bill helped transform the United States by providing job training, housing, loans, educational benefits and more to our veterans. Roughly eight million World War II veterans used their G.I. Bill education benefits, which played a critical role in driving our country’s long-term economic growth. Today, benefits include up to 36 months of full, in-state college tuition, monthly housing allowances, and $1,000 per year for books and supplies. Nothing was going to keep Alexis Flores from pursuing her degree at Cuyamaca and Grossmont colleges. When the 22-year-old resident of Sherman Heights, a San Diego neighborhood a mile or so east of Petco Park, needed a way to get to Cuyamaca College, her grandfather drove her to school. When her grandfather fell ill and could no longer drive, Flores transferred to Grossmont College, which is easier to reach from her home via bus and trolley. Flores, who has suffered from various disabilities since she was born more than three months premature, was recently honored as a Grossmont College Student of Note. The awards are given to students who have overcome obstacles on their way to graduation. Raafat Samuail knows how to overcome adversity. A refugee of the Iraq war who fled to Turkey in 2008 before immigrating to the United States the following year, Samuail didn’t know a word of English when he and his family settled in El Cajon. No matter. Samuail, 24, immersed himself in English as a Second Language classes before enrolling at Grossmont College. He graduated with an associate degree in June and is now on his way to UC San Diego, where he will study computer programming. He was named a Grossmont Student of Note in May. The awards are given to students who overcame obstacles on their path to graduation. EOPS counselor Pearl Lopez nominated Samuail for the Student of Note recognition. She wrote that Samuail, who also goes by the first name of David, has dealt with more challenges than adapting as a war refugee. 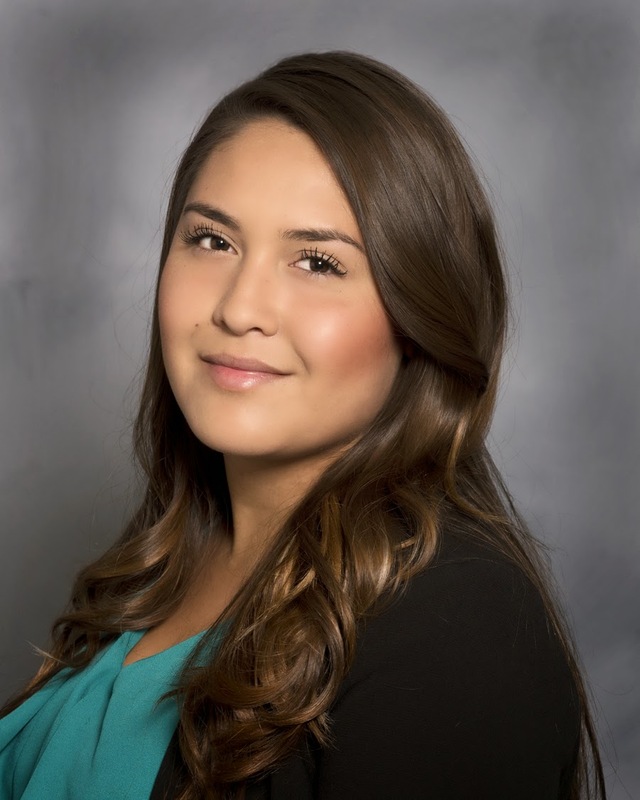 Jocelyn Estrada, a business administration major, is the new Cuyamaca College student trustee on the Governing Board of the Grossmont-Cuyamaca Community College District. Estrada took her oath office last night, joining Grossmont College Student Trustee Zack Gianino on the dais as a non-voting board member. 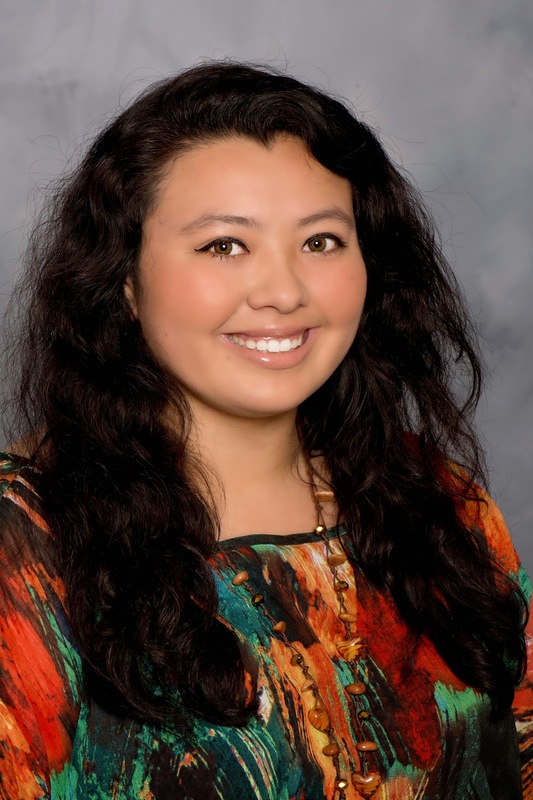 She was elected by her fellow students for the yearlong term, replacing Elsa Hernandez, who will take on a new post in the fall as president of Cuyamaca College’s student government. 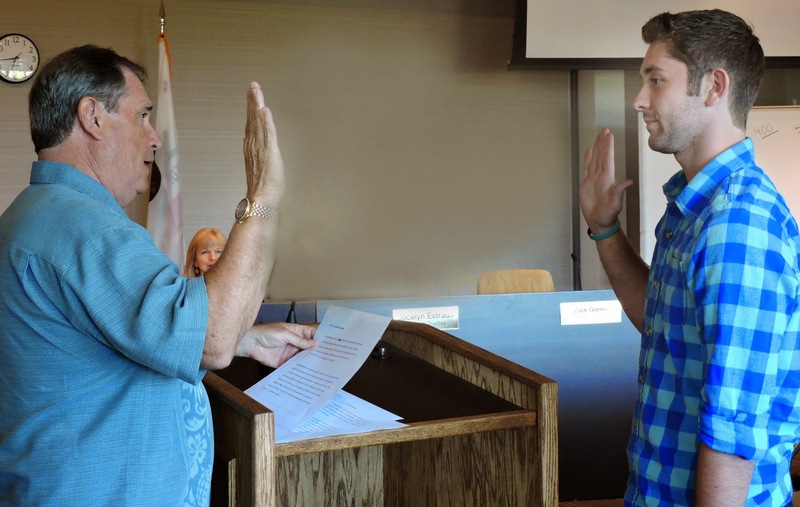 Gianino, elected to his second term by Grossmont College students, was also sworn in at the start of Tuesday’s meeting by Governing Board President Bill Garrett. On Monday June 16, San Diego awoke to the news that Tony Gwynn had lost his battle with cancer. The Grossmont Athletics family, like all of San Diego, paused to recall their fondest memories of the Hall of Famer who played all 20 of his seasons as a Padre. Grossmont Athletic Director Jim Spillers shared one story that describes the essence of why San Diegans loved Gwynn. Before joining the Grossmont team, Spillers was an Associate Athletic Director at San Diego State, responsible for facilities. 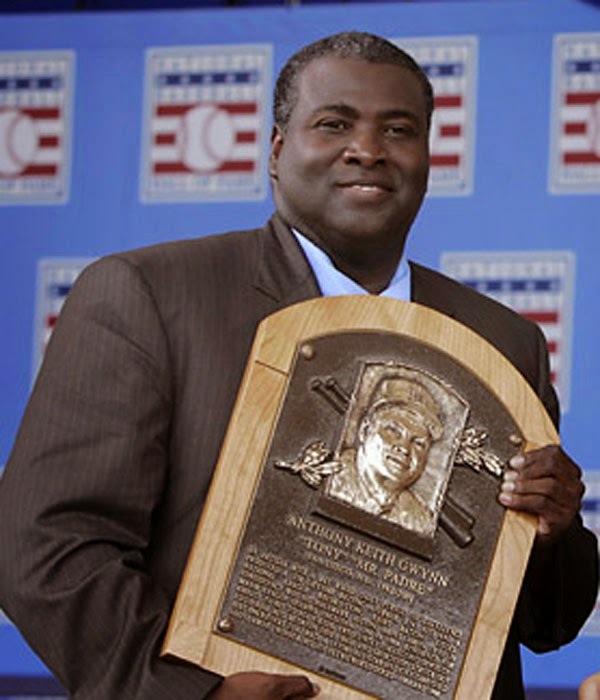 After Gwynn's retirement from baseball, he became the head baseball coach at SDSU, and Spillers and Gwynn worked as colleagues for several years. Here is Spillers recollection in his own words. "In my nearly 30 years of intercollegiate athletics I have had the opportunity to meet some amazing athletes and personalities. Of all the “superstars” I have had the chance to interact with, Tony Gwynn, was by far the most humble, kind, and approachable sports legend I have ever known. From our very first meeting to our last his laugh, infectious smile, and his easy going demeanor remained his trademark. 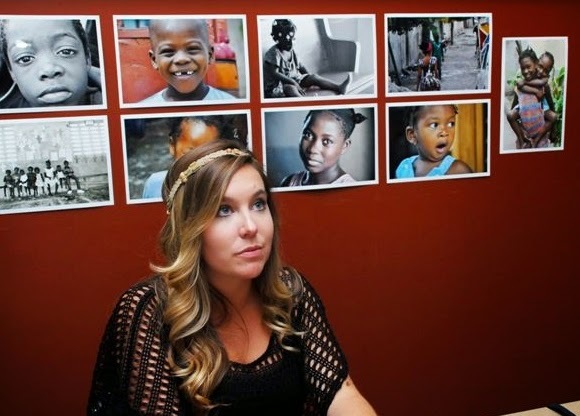 Life is filled with pivotal moments, but for Cuyamaca College student Dani-Jo Hill, none more so than on a particular day in March 2011, when a chance encounter during a church-sponsored visit to Haiti forever altered her future path. Sitting alone in a dark storage room of an orphanage in Carrefour, a small city outside of Port-au-Prince, she spotted a toddler who appeared to be living underneath a wire mesh bed frame. Almost instinctively she reached out to touch the tiny figure who shied away with a primordial scream. Hill retreated, not wanting to further frighten the child. Minutes passed before the toddler, malnourished and covered with skin sores, crawled out from his hiding spot, eventually allowing himself to be held. “He had no diaper on and his entire body was covered in scabies,” said Hill, seated at a table inside the student center, displaying purses, scarves and other handmade items she was selling on behalf of a young woman in Haiti. From that life-altering encounter – tear-filled moments comforting a forgotten, neglected child -- came the start of Gabriel’s Promise, a non-profit group founded by Hill. Seating is limited and available on a first-come, first-served basis. To RSVP for you and a guest, please visit: foundation.gcccd.edu/alumni OR call 619-644-7357. Charles Balogh earned a bachelors’s degree from UCLA and spent 15 years in marketing before studying to become a registered nurse. 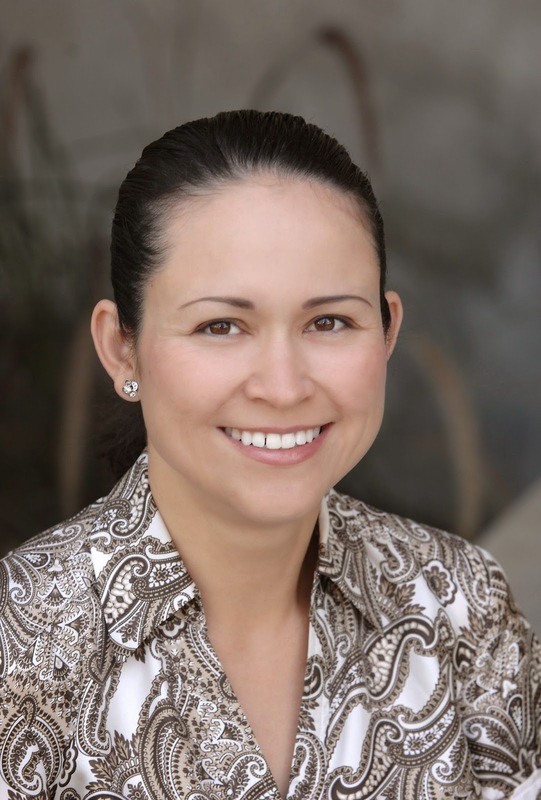 Paula Marie Elizondo worked in the insurance industry for more than two decades before following her calling in tending to others. Felicia Jordan had launched a career as a social worker before opting to start over and pursue nursing. Balogh, Elizondo and Jordan were among the 29 Grossmont College graduates who on June 5 received their nursing pins during a ceremony attended by friends and family. Earning their pins enables the Grossmont College graduates to take the National Council Licensure Examination, the last stop needed before becoming a registered nurse. Many, like Elizondo, will pursue a bachelor’s or master’s degree before settling on a career in the medical profession. Grossmont College has one of the highest passing rates in the state for students who take the National Council Licensure Examination at nearly 96 percent. 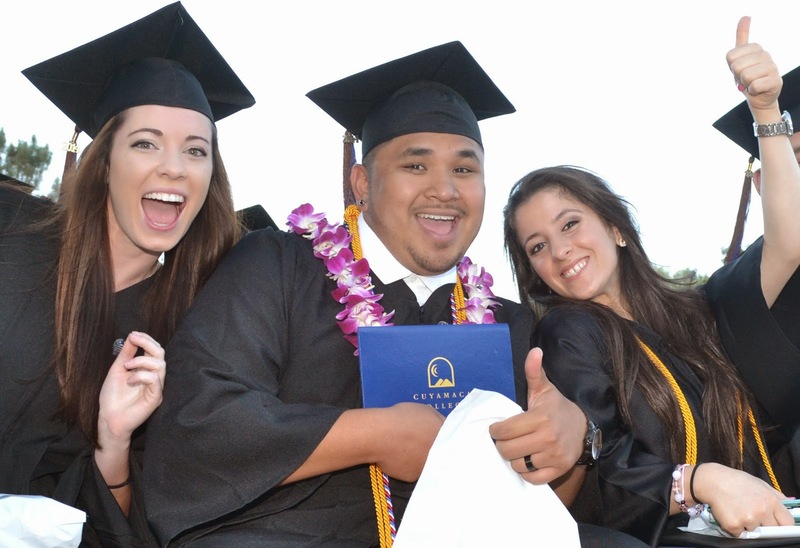 More than 2,000 graduates have received a record number of degrees and certificates from Cuyamaca and Grossmont colleges in the annual celebrations of academic accomplishment, evenings made memorable by inspirational speeches, congratulatory moments, proud families and joyous graduates. With many earning multiple degrees and certificates, more than 600 graduates received 878 degrees and certificates Wednesday at Cuyamaca College. Over 1,400 received 2,952 degrees and certificates Thursday at Grossmont College. Chancellor Cindy Miles congratulated the graduates, telling them the time and money they’ve put into attending college is one of the best investments they could have ever made. She noted a U.S. Department of Commerce study which found that people with an associate degree earned nearly a half-million dollars more in their lifetime than someone with only a high school education. Saying they were the beneficiaries of a world-class education, Miles urged the graduates to “pay it forward” and always remember where they had first started down the path of higher education. Graduates at both colleges received their diplomas and certificates from the college district’s Governing Board trustees. Governing Board President Bill Garrett congratulated the graduates on their “extraordinary hard work and doing an absolutely fantastic job” to acquire a terrific education. He thanked the families of graduates, saying their support was invaluable and acknowledged the pride they have in their loved one’s educational accomplishments. Garrett drew a chuckle as he told graduates that there was no better time than on commencement day to hit up family members for money. 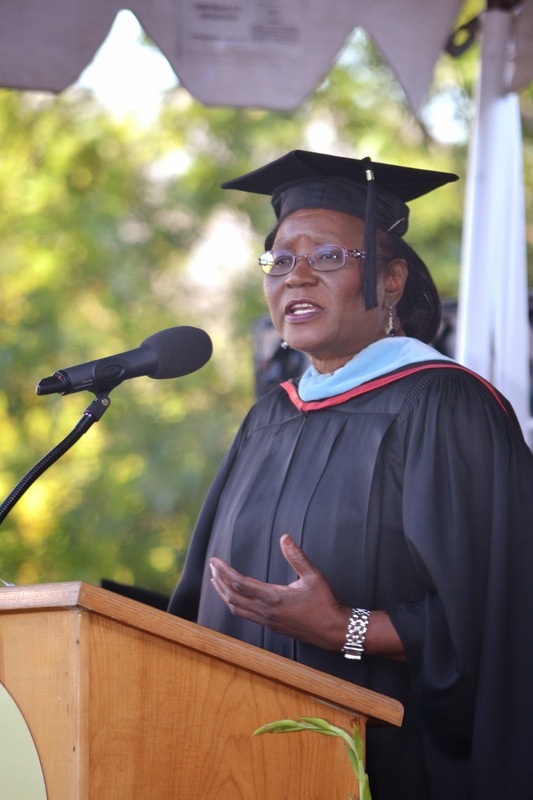 Cuyamaca College’s 36th annual commencement ceremony featured as its keynote speaker Mae Brown, assistant vice chancellor of Admissions and Enrollment Services at the University of California, San Diego. Brown, an Arkansas native, is a first-generation college student from a family of eight siblings with parents who worked the cotton fields as sharecroppers. Brown said the expectation was that all the siblings would follow suit to help support the family. What proved her salvation was her mother, who realized the importance of schooling after she began working in the homes of educators. Commencement speakers are well known for talking about things that are especially important to THEM. Well, I’m going to do that, too, but I want to talk to you about three things I think YOU should know. Three things I’ve learned in my working life, that I wish I’d fully appreciated when I started out. Some of you think you have it all figured out. You know exactly who you are and where you are going. You’ve carefully plotted the progression of your career and you have a laser-focused view on what it will look like. Well, if that’s you, prepare to be surprised … because that’s not the way it happens. Careers don’t really go like that -- you are going to be surprised about where your working life takes you. I was the Chief Executive for 14 years for San Diego County; one of the largest and most successful local governments in America. I had as many as 18, 000 employees reporting to me and I spent as much as $5 billion of your tax money each year. NASA is currently seeking science, technology, engineering and math (STEM) majors for the National Community College Aerospace Scholars (NCAS) program! NCAS participants are engaged in a rich STEM learning experience through interactions with NASA scientists and engineers, web-based activities and a three-day onsite experience at a regional NASA Center (either Johnson Space Center, Marshall Space Flight Center, or the Jet Propulsion Laboratory). Community college students from across the nation are chosen to participate through a competitive process. Selected students are U.S. citizens currently pursuing their initial undergraduate degree at a community college who have an interest and aptitude for mathematics, science, engineering or computer science. A registered community college student during the application process and project (Spring 2014 thru December 2014). *Please note that a $30 non-refundable fee to cover the cost of meals and a NCAS polo shirt will be required from each student selected for the three-day experience at a NASA Center. Please visit the NCAS website to learn more: http://ncas.aerospacescholars.org. Applications are due July 1, 2014! Some Grossmont College grads saw their mortarboards as an opportunity for creative expression. Here are some samples of their art at Grossmont College's commencement on Thursday. 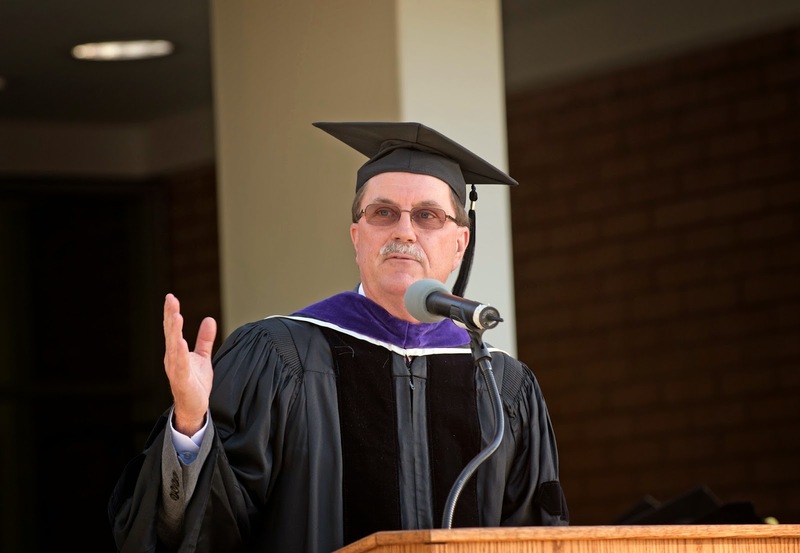 Graduates, I know that you are expecting the traditional commencement speech. However, I am going to ask you to join me for a few minutes of reflection. I am a first-generation college student. I grew up in the segregated South. My parents were sharecroppers; my mother had a third grade education, and my father had a sixth grade education. There were eight of us siblings. I am the second sibling. My parents followed in the footsteps of my grandfather. The small Arkansas town of 800 was a farming community. The expectation was that we would all work in the cotton fields, harvest fruit and vegetables, and help financially support the family. At that time, we knew nothing different. It was not until my mother began working in the homes of educators that she realized there was another way. Thank goodness for “mothers.” While she did not know how to navigate the educational pathway, she knew that it was important for us to attend college. She was abandoned alongside a street in Vietnam at the age of 2 and came to America as a teen not knowing a word of English. Meet Angela Ngo, a Grossmont College professor of nursing and a 2014 recent recipient of the school’s Teaching Excellence Award. Ngo said she has wanted to be a nurse for as long as she can remember and her love of the profession led her into teaching the craft. 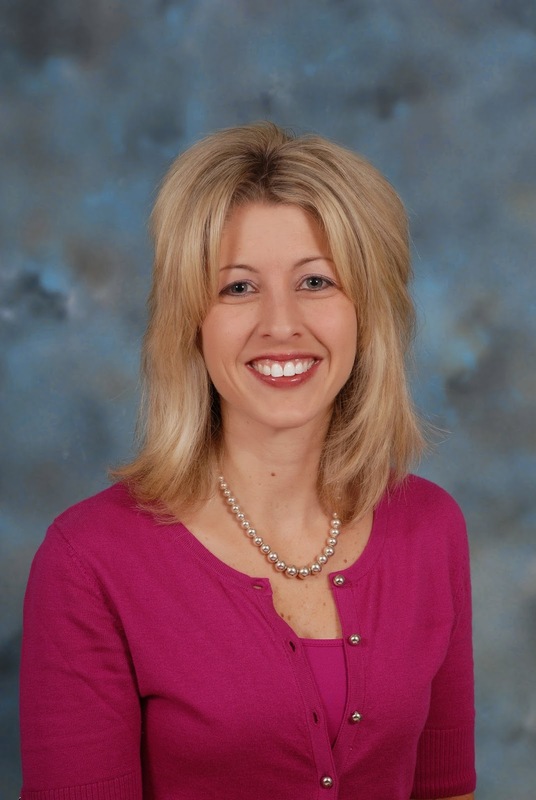 She has been working at Scripps La Jolla since 2003 and joined the Grossmont College staff first as a clinical instructor in 2007 and then as a full-time faculty member the following year. “It is an honor and a privilege to take care of someone in their most vulnerable time,” Ngo said of nursing. Cuyamaca College has been ranked among the nation’s “best of the best” veteran-friendly schools by U.S. Veterans Magazine, the only community college in San Diego County to earn the distinction. The annual lists of the nation’s Best of the Best top veteran-friendly companies, colleges, top government and law enforcement agencies and employers will be published in the Aug. 15 issue.